We at Krampitz developed a multitude of special solutions for tank equipment of rail vehicles. Our constructions go far beyond the simple stocking of fuels. We offer comprehensive concepts for any application regarding trains and railway. The modular design of our components is able to accommodate any application. The focus is operational safety and efficiency. Today, most train cars are powered electrically. Whether ICE or regular passenger train, the locomotives usually obtain the energy from the overhead line. Diesel trains are used only for shunting. However, electrically powered trains have a great need for fluids of any kind. The demand of each locomotive is quite large. The tank depots in repair and servicing shops need to be configured generously. We at Krampitz can here offer suitable solutions by our powerful modules. The advantage of our modular system is to provide solutions as quickly and exactly as possible. 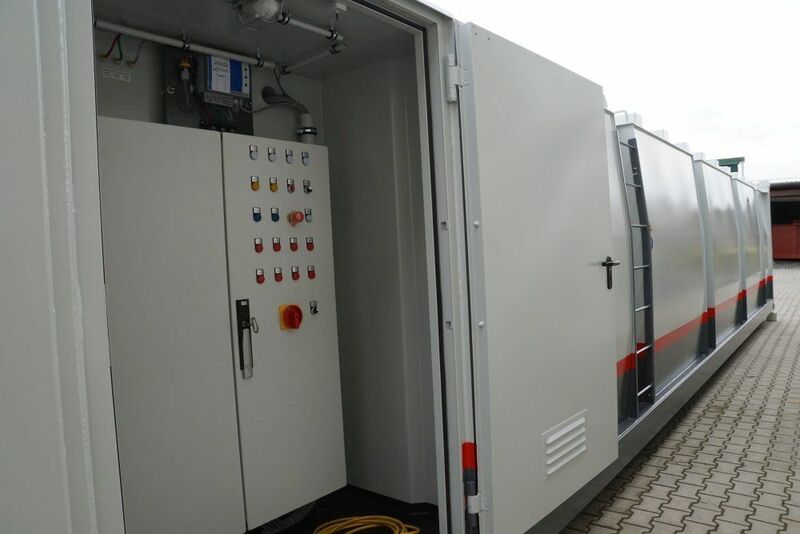 Weather-resistant modules allow the railway service to set up tank equipment outdoors. To build above-ground means quick and easy setup. This will maximize availability and minimize construction expenditure. Our particular strength is quick assembly without compromising quality and convenience. We deliver ex works any equipment needed for complex train maintenance. 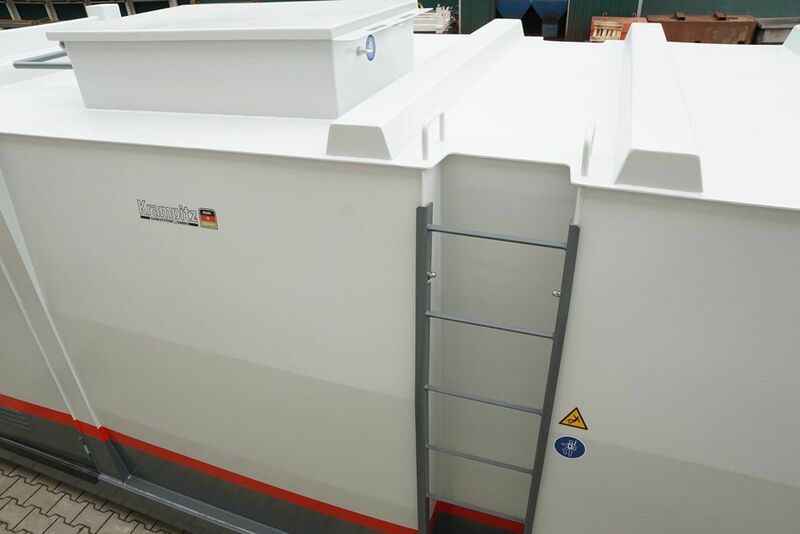 We offer tanks from 50 to 100,000 litres and containers from 10,000 to 90,000 litres. Any repair and servicing shop will be ready for deployment using the extensive equipment ex works. Performance to the most minute detail is our motto: We offer pumps delivering a flow rate of 25 to 400 litres per minute. In doing so, small tanks as well as large tanks fill quickly and accurately. What you fuel, is a question of equipment. Our tank solutions can be designed for any common operating liquid. Hydraulic oils, lubricating oils or servo oils are very important to modern traction units. The storage of these materials is very expensive and demanding. We guarantee a storage of all tribological materials without contamination or hygroscopic effects. The substances remain available in our tanks for a long time without the tendency to resinify, to silt, or to be contaminated by water. The legislation related to diesel engine operation will be stricter. We offer solutions to store urea, in order for railcars to meet their environmental requirements. 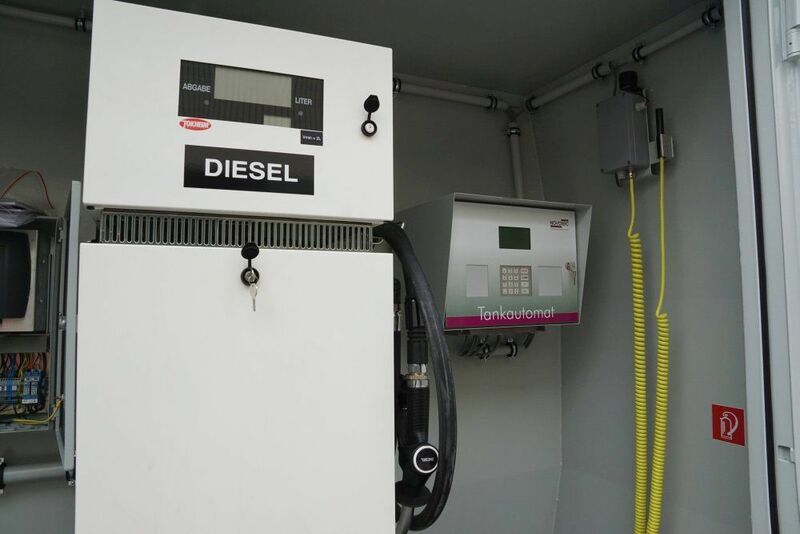 The environmental authorities like to see low emission values and high operational reliability by reason of our urea storage tanks. You will always be on the safe side when it comes to legalities. The fiercest winter may roll on with our glycol storage tanks. It is indispensable to always have antifreeze on call in sufficient quantity. We offer space-saving and highly efficient storage tanks equipping any repair and servicing shop excellently to make trains ready for the next winter season. Where there is work, you need water. Whether it’s for cleaning, cooling or many other applications – there is no way without water. We offer water tanks for fresh water and service water. Any train depot can fill up each train within a very short period of time and prepare for the next trip. Our fuel tanks are highly secure and have extensive international certificates. In case of need, they can also be provided with ATEX equipment, if you plan to use highly inflammable media. 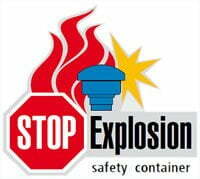 We offer a high degree of explosion safety. Krampitz diesel tanks are essential particularly in marshalling yards. A double-walled construction made of high-strength steel keeps the tanks well protected even when collisions occur. 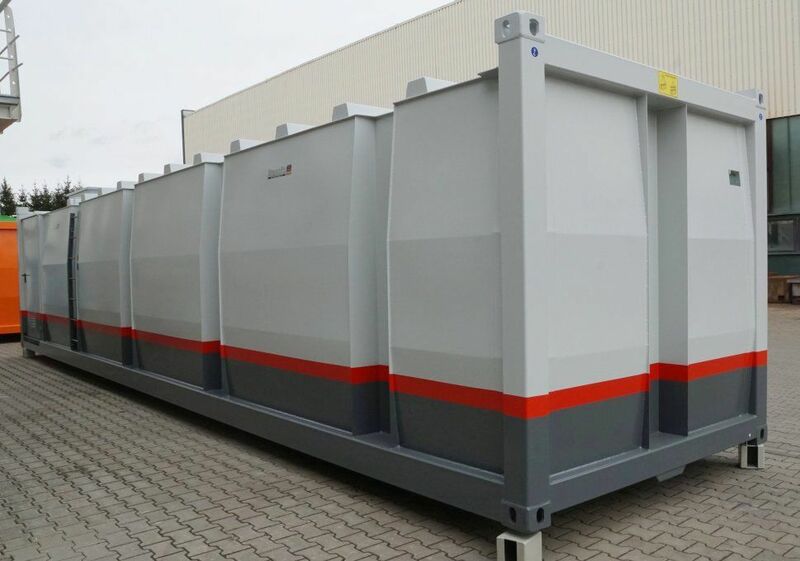 In addition to storage tanks for cooling and service water, we offer special solutions for the demanding storage of potable water. On-board restaurants and team supply will always have a sufficient quantity of fresh water. Our high-performance pumps transfer liquids from the potable water tank into the container of the train and care especially fast. The water remains fresh for a very long time and can be used in our potable water tanks. To do so, we use an inner tank lining made of stainless steel. As a result, they remain rustproof and don’t emit any foreign matter to the potable water. Maximum safety is also top-priority for this solution. That is why drinking water systems may be equipped with UV systems (UV disinfection by ultraviolet irradiation) and special drinking water filters. This decentralized supply independent of the water network makes it easy for the railway service. The Krampitz tank systems for train maintenance are applicable to all rail vehicles. We offer space-saving modules for the suburban railway service as well as for the comprehensive railway service from a central locomotive / train service depot. 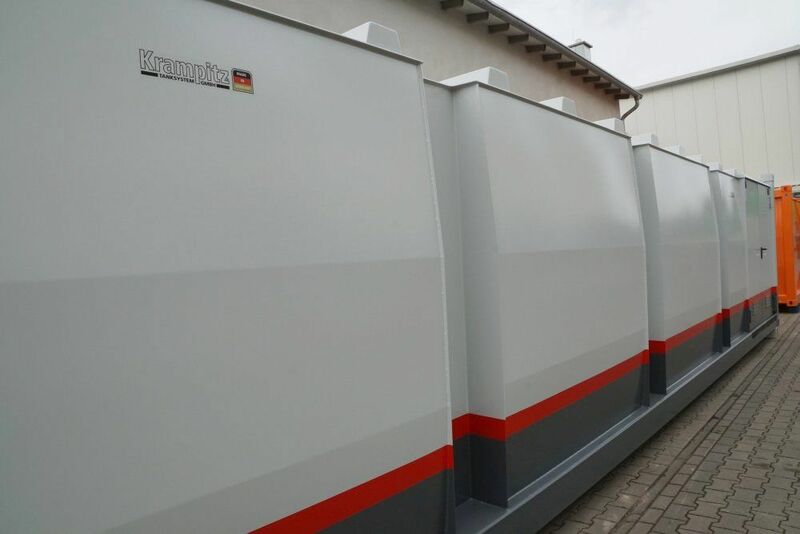 Using the Krampitz tanks, you may carry out technical service going far beyond the standard features. 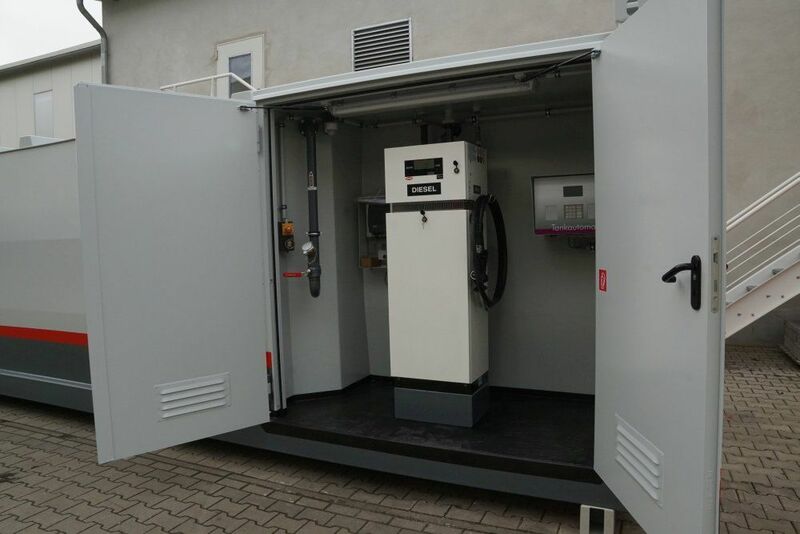 A fuel station for locomotives is only the smallest module that we are able to offer. Our mission is to provide full service for the operating yards which keep railways in operation around the world. To set up a fuel station for locomotives goes far beyond the German and European borders. The diesel locomotive is still widely used in other countries. Also, operating yards of the emerging markets pay attention to safety and environmental protection when they service and maintain trains. This is when tanks by Krampitz take the lead to upgrade traction maintenance depots and traction unit stations. We may not be represented in each railway depot in the world, but we are working on it. Where we are, the repair and servicing shops refer to the highest level of safety, efficiency, and environmental protection. You may equip our storage tanks for railway vehicles on request with a comprehensive concept of security and remote maintenance modules. By this reason, you will immediately be advised about theft, fire or malfunction. We are the innovative leader in the development of storage tanks of all kinds. Modular and faster assembly, durable and reliable technology as well as a comprehensive service are part of our philosophy. This includes a comprehensive after-sales service. We are available when it comes to maintenance, repair, or expansion of our tank equipment. You can even operate a facility by a third-party wholly or in part, we will be at your side for any kind of issue. We understand our job and our customers. This makes us one of the most successful manufacturers of storage tanks. Call us or visit our website. We will the matching solution for your application.